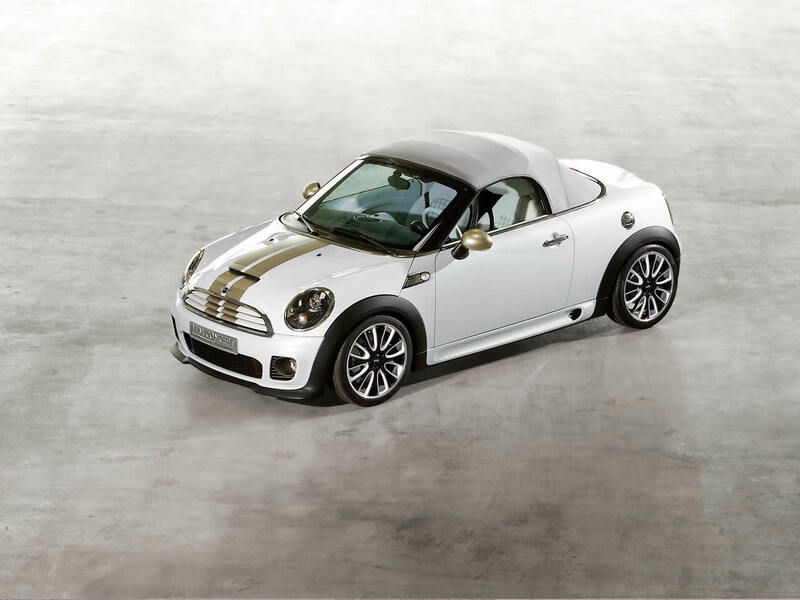 The Mini Roadster was another opportunity for BMW to diversify the popular Mini brand. Whether you fall in love with the speedster styling or see it as a marketing ploy you must admit it is a hoot to drive. 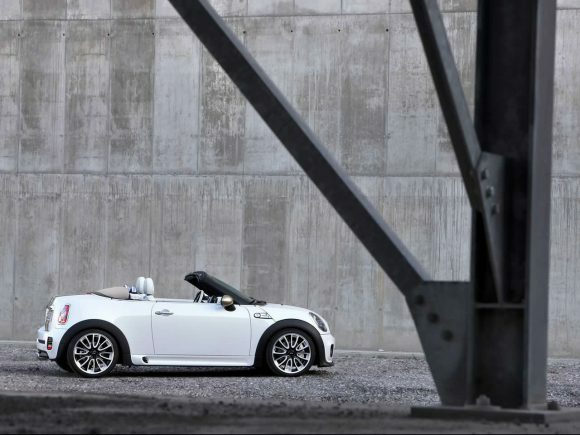 The stiffer chassis support means it handles better than the equivalent four-seat Mini Convertible. 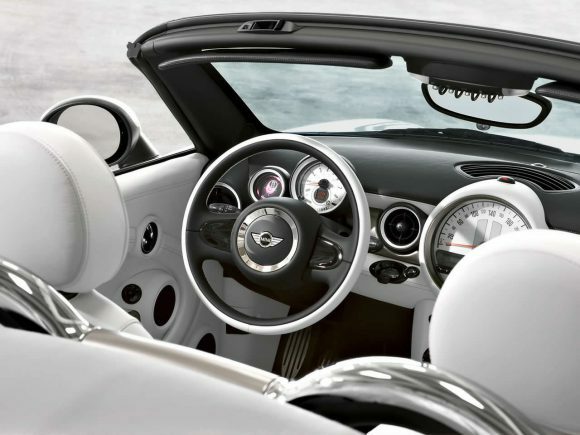 The 2-seater Mini Roadster also gets sports suspension a steeply raked windscreen and a choice of only the performance engines from the Mini range. The small proportions make it a sports car that is at home parking in tight spaces as it is on the open road. The 2-seater Mini Roadster gets sports suspension a steeply raked windscreen and a choice of only the performance engines in the range. The neat little soft-top is manually operated to save weight and just like the Mazda MX-5 Miata (perhaps its closest competitor) it can be taken up or down without getting out of the car. 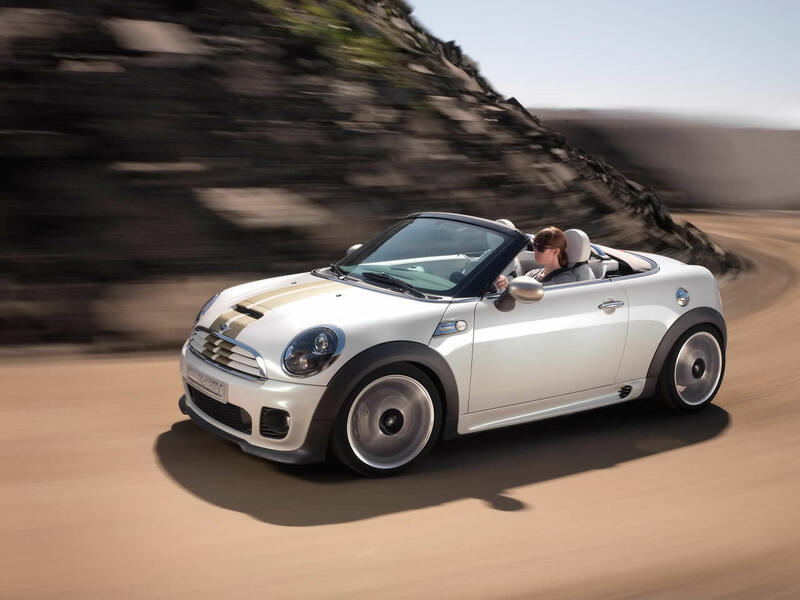 The Mini Cooper Roadster is first but not least in the range; it is versatile and economical while giving a good turn of speed. The Cooper S Roadster gets a twin-scroll turbocharger boosting the power output without seriously effecting economy. It has the performance of a proper roadster while visually the S stands out from lesser models by the air intake in the bonnet. The Mini Cooper SD Roadster is still something of an oddity as a small diesel sports car. The engine is very efficient but after high diesel prices you'll have to be doing high mileages to make it pay over the already frugal Cooper S. The exhaust note isn't quite what you'd expect from a roadster but many company car buyers will have no option other than diesel power.Performance isn't quite a match for the petrol Cooper S but it isn't far off. Like the Cooper S the SD also has the familiar air intake in the bonnet. 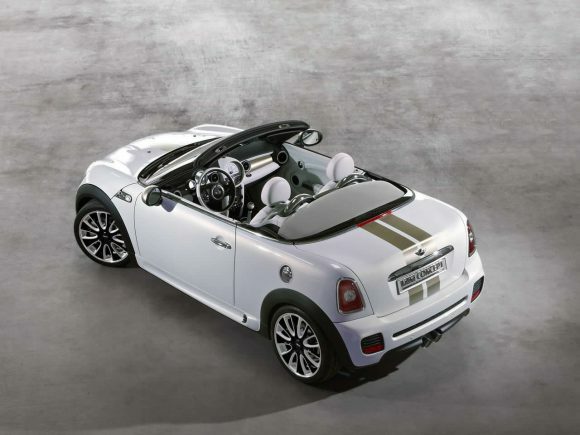 The Mini Cooper SD Roadster manages to combine punchy performance with the great economy of a diesel engine. 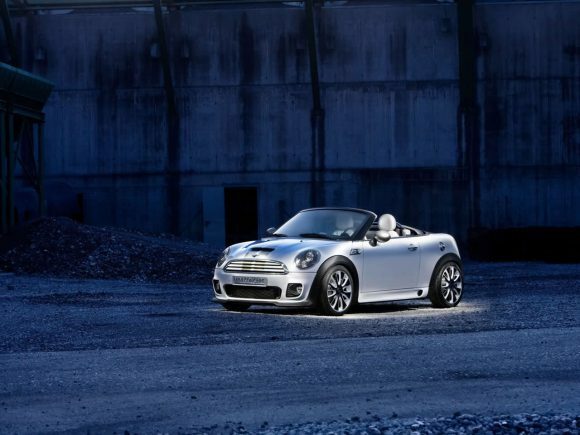 Do you drive a Mini Roadster? Would you recommend it to others? This Mini already has one owner review, continue the conversation and let us know what you think of the car. I have the roadster SD, ran it now for a year and still smile every mile. I passed a similar white one with the reg fun and this sums up the car in one word. the top is very easy to take down, can be done at under 20 mph in 8 seconds, used this approaching lights when a shower started. you just need to unclip the front and then its all automatic. very snug when folded away. the car handles really well on the twisties or smooth on the straights. it may be a little noisy for some in comparison to hard tops but not a deal breaker. the diesel is very nippy even without the sport button and has plenty of torque and gives good mileage. if your the first off the traffic lights go for the petrol as the diesel hits the limiter very quickly esp with the sport button on but pulls great in other gears. mini has a wide range of options to customise and make your roadster personal, if you like music the standard may not be enough with the top down. the key fob holds all sorts of info and you can get a 3 page readout from your dealer about your can and driving habits by plugging it into their desk gizmo. drive the one you want first in cold weather if you can as there is a problem with some chucking permanently cold air out the bottom of the steering column and I was told there is no fix! !